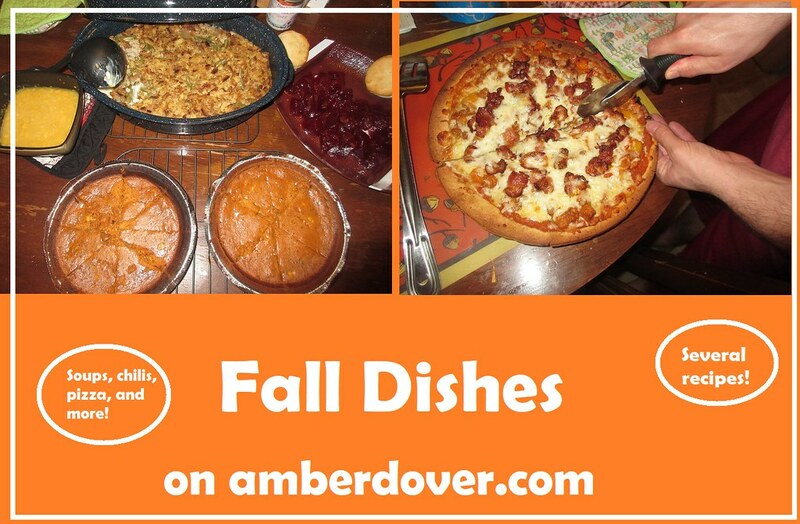 In this post: Some of my favorite fall dishes and a few new loves! Autumn soups, pizza, chicken pot pie, cranberry mustard sauce, and more! Hello, Dear Ones! Wow, time has flown! It will officially be winter soon and I am finishing up my Fall posts. People always ask me about my recipes. I have a few classic meals I always fall back on but I also like to try new things. Some of these recipes you’ve seen on my blog before and others are a first. Enjoy! I fried turkey nuggets using turkey breast fillets with a mix of seasoned flour. I also made homefries from brown and sweet potatoes. I was inspired by Subway’s Autumn turkey sandwich, to make the cranberry mustard sauce. My way: I was looking for easy, so I just mixed cranberry sauce with honey dijon mustard equally. It was yummy! Pumpkin Chili- This one is a big favorite. We eat a lot of chili when it’s cold and I like this Autumn version to mix it up. Turkey Meatloaf- Friends love it when I make this meatloaf. I always pair it with mashed potatoes. Green beans are good too! Black Friday Pie- This is Thanksgiving without the work…well, my version is. Here is the recipe for the after Thanksgiving version. My Version (Easy Black Friday Pie)– Instead of waiting for Thanksgiving leftovers, I go the simple way. I use boxed stuffing, canned gravy, canned green beans, mashed potatoes mix, and ground turkey (much easier to cook). It may not sound as appetizing but when it all comes together it IS Thanksgiving in a dish. Pssst, no one can tell you didn’t make it all from scratch…seriously! Add some cranberry sauce and pumpkin pie and you will have a feast for days! Stuffed Pepper Soup- Another favorite. This is great for any cold weather and it’s so much easier than stuffing peppers! Autumn Pizza- This is my new favorite homemade pizza. I wasn’t sure I’d like the butternut squash but it was delicious. I bought the cubed kind in the salad department. It made it much easier! Note: Eat this in one sitting…some of the veggies aren’t as perky when reheated. Easy Chicken Pot Pie- As a kid, I loved eating the freezer pot pies but when I got older one gave me an allergic reaction. So now I make this easy homemade version…much healthier I think.